One of the many things I enjoy about being an author is the prep work that goes into a book. Part of that prep work includes interviewing my main characters before I start writing. I thought I’d share parts of Penny and Russell’s interviews. I hope you enjoy! Adrienne: Penny, I know you are a rising star as a defense attorney, but what do you think some of your failings are? Penny: Tough questions right out of the gate? Maybe you should have been a trial attorney. Adrienne: Uh, no thanks. Quit stalling. Penny (sighing): I don’t know that it’s a failure, but I wouldn’t have minded going out on my own as an attorney and getting a job somewhere other than my father’s firm. It would have broken my father’s heart though and I couldn’t do it. My family is the most important thing to me. Adrienne: Tell me something you do that drives people crazy? Penny: I like to call men by their full names in a sarcastic tone. I call it the Mommy Game and it drives some men nuts. Adrienne: How do you feel about men? Penny: I know need a strong man in my life. I need someone who can deal with the shifts in my personality. And he needs stamina because I’m always on the move and always have something to say. I don’t want someone I can boss around. I also don’t want someone who thinks he can boss me around. I want an equal. Adrienne: What are some of your emotional needs? Penny: See above. Yeesh, I’m not repeating myself. Get it together here. Adrienne (laughing): Sister, you are a piece of work. Tell me your biggest disappointment. Penny: I really don’t have one. Not yet anyway. I fell in love in college and that didn’t work out. I guess that could be a disappointment, but by my way of thinking, there’s a reason it didn’t work out so I don’t know that I would call it a disappointment. 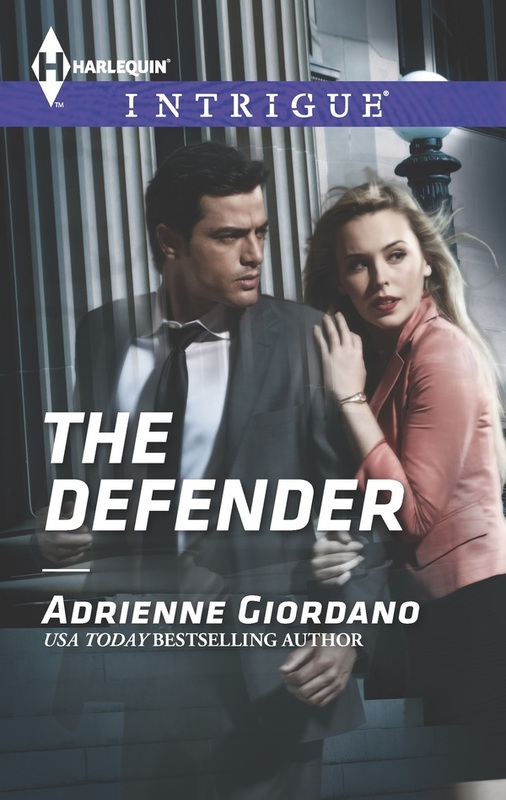 Adrienne: What is your goal in The Defender? Penny: I don’t want to be known as the girl who had a law career handed to her. I want to make it on my own. Elizabeth Brooks, my client, loved her husband. She took a chance on him and he let her down in a horrific way that left her a widow. And she has a madman after her. I want to get her out of it and be the hero. If I’m the hero, my bones are made. Adrienne: Penny yelled at me when I asked about her emotional needs. Tell me about yours? Russ (smiling): She's funny. I guess need someone who can roll with my personality and is secure enough not to freak out if I don’t call one day. I’ll always come back, but I might get lost for a day. Doesn’t mean I don’t love her. I also want someone who can match my banter and won’t be a pushover. Russ: I want to nail the guys running this pump and dump scheme. That’s why I work in the financial fraud area. My parents got taken for their retirement money by a scammer. I don’t want to see that happen to anyone else. Adrienne: What are some of your strengths? Russ: I’ll do anything to protect my loved ones. I want them to be happy. Adrienne: What do you want from life? Russ: Not a lot. I’m a simple guy. I want to be a good FBI agent and always be busy in my personal life. I can’t stay still for long. If I could manage a good career, find a good wife and belt out a couple of kids, I’d be good. Adrienne: What do you like most about Penny? Russ: She’ll do anything for her family. She also has no self-confidence issues. She’s a strong woman and I like that. Adrienne: What do you think you and Penny can give each other? Russ: Uh, a whole lot of excitement.